This is my small but powerful 1080p 60fps gaming rig. It was built for the purpose of being small and portable yet still packing a huge punch for gaming at high settings. I'm able to use an xbox one controller with the on-board Bluetooth as well making it an awesome replacement for a console. It looks sleek and mean, the case is really well designed, though as other reviewers have said, missing a dust filter on the top for vertical alignment and the GPU dust filter being a pain to remove and clean. I was initially concerned whether 3GB of VRAM would be enough but after a lot of research and from my experience so far, I'm glad I went with it for 1080p. This case was a nightmare to build in at first, there is such little maneuverability and there are a lot of cables to keep organised. Every part that goes in must go in a specific order or you'll find yourself unscrewing/removing things to re-attach what you've missed. Ultimately I'm very satisfied with this rig, it's met and surpassed all my expectations. My best advice for building this is to get all cables out the way asap and keep them out the way. You will then want to fasten the motherboard's IO plate to the case. Next install the GPU riser onto the mobo, then insert and screw the mobo into place (If you're having difficulty, remove the GPU riser then reinstall it, it was easier to have it in for me though), then screw the GPU riser to the case using the 3 screws provided. Install the CPU and then the stock cooler, paying attention to where the fan connector is positioned to make it easier. Next, insert the RAM which is easy enough. Remove the SSD holder and screw the SSD to the inside of it, making sure it's on the side of the case where the motherboard is and not where the GPU will be, then reinstall the SSD holder to the case. Next you're going to want to install the case fan, but to do it you will first have to remove the little plastic rest that keeps the GPU elevated. To do that you need to remove the back panel of the case, which is a complete nightmare and very tricky to do without feeling like you're going to snap something. There are little plastic tabs located around the case, you need to put pressure on these so they release (refer to the manual for tab location). I also unscrewed the front panel USB/audio (only 2 screws holding it in place) to make the removal easier. After you've done it once it becomes easier to remove it in the future it seems, as the plastic tabs are less tight. Remove the dust filter to provide access to the screws holding the GPU rest in place, take it out and then install the case fan, being sure to place it in the right direction and again being mindful of where the fan cable is located. I recommend using a small washer on the one screw that finds itself on the open hole where the GPU rester was able to slide. (My power cable was in the way so I had to remove the tire wrap to allow more wiggle room) You should also remove the white metal plates near the power lead input for when you install the GPU. Reassemble everything again, taking your time to position the plastic tabs correctly before applying pressure to prevent damage. Next you can install the GPU connector to the GPU riser then install the GPU itself, making sure it slots in correctly, you may need to apply some external pressure to slide the metal tabs under the lip of the case before screwing it in firmly. The next part is where the true nightmare begins, and where you'll have to persevere and get crafty with your cable management. The biggest obstacle here is the 24 pin connector, it's beefy and hard to bend but I recommend you flex it as much as possible before inserting it, I was able to loop it back on itself and still be low enough to fit the case on properly. Try placing the thinner cables underneath it, I had the 4 pin mobo cable running on the very bottom of the case then the 24pin above. 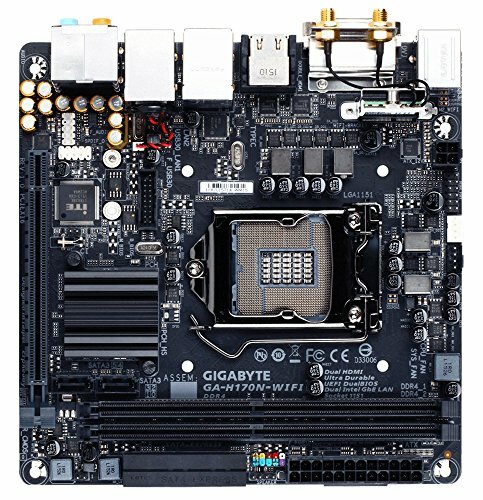 The front panel USB port is in a stupid position on this motherboard as well so be weary of that. The sata connectors for the SSD had to be bent back on itself to reduce clutter then I tucked the remainder of the cables infront of the PSU. Just wiggle the cables around a bit, tie them down or together where you can and you'll be fine. Excellent price for such powerful performance. This is a fantastic CPU and works well in my 1080p 60fps gaming rig. Great little motherboard, the on-board wi-fi is great, have yet to try the bluetooth. Feels very durable and well made, IO shield is clean and nice looking. Everything you need if you don't want to overclock your CPU. The USB3 header is in an awkward place, but isn't much of an issue with stock CPU cooler. Good enough for 1080p gaming, can upgrade easily enough in the future if needed! 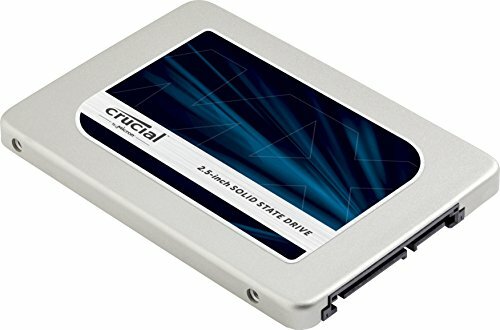 Fantastic SSD for a good price. Very quick read times and good amount of storage too. Massive increase in speed over a regular HDD. Small and powerful. I was initially worried whether 3GB of VRAM would be enough but decided to go with it regardless. For 1080p/60fps gaming, this little beast is hitting everything I throw at it with ease. Excellent case, looks incredible on the outside, nightmare for cable management within! Really glad I chose this case, it's very well designed. As others mention the only problem I have with it is there's no dust filter for the top vent if using in a vertical alignment. The dust filters are a pain to get to as well, the plastic tabs you need to pry open are worrying, wish there was some other mechanism to get it fully open. Definitely worth all the hassle this case put me through in the end. Great performance with little noise. 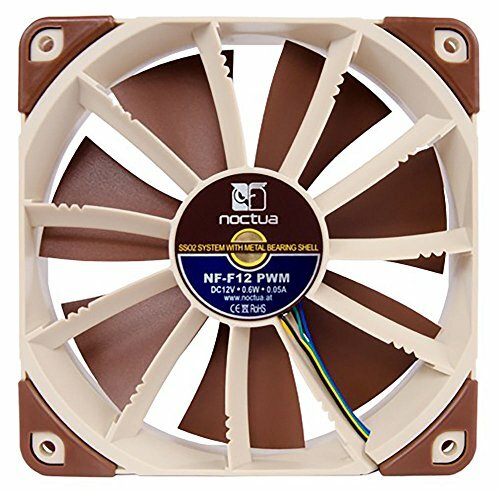 My GPU dropped over 15 degrees Celsius at full load thanks to this fan while using the node 202 case. Thanks, I'm very happy with it. I too was on the fence about the 1060 but I'm glad I went with it, it's hit the nail on the head for what I need it for. I only have a few games installed at the moment but will keep uploading benchmarks as I play more. I originally didn't have a case fan in this build but added one the other day as the 1060 was hitting 80 degrees under load and now its hitting 65 with the fan, massive improvement! I'd Choose the RX 470 or 480 or even a 460 over that 3GB 1060! Why specifically would you choose one of the RX cards? I agree with the choice the builder made because the 1060 is faster with DX 11 games and it has lower power consumption (which keeps heat down in a small case). I'd like to know you reasoning's why! :) Don't forget Nvidia have better memory management than AMD and the 1060 has far superior efficiency than the 470 as well. Well guys, because it's gonna have longer support, completely destroys the 3GB version in DX12 and VULKAN, less bucks, the only difference in framerate may be 1-9 fps in DX11 and lower, at utmost... You can crank more textures at ultra with that 4GB VRAM, some games(JUST SOME) consume 3gb at high details, let's not say anything about very high/ultra! "completely destroys the 3GB version in DX12 and VULKAN" I wouldn't go that far, we don't know how nvidia is going to play out. Also, as long as I hit 60 FPS anything more is ultimately a waste. This is a 1080p 60 FPS build after all. Longer support isn't true either, nvidia supports their GPU for years. None of the games I play consume more than 3GB of vram at 1080p either. 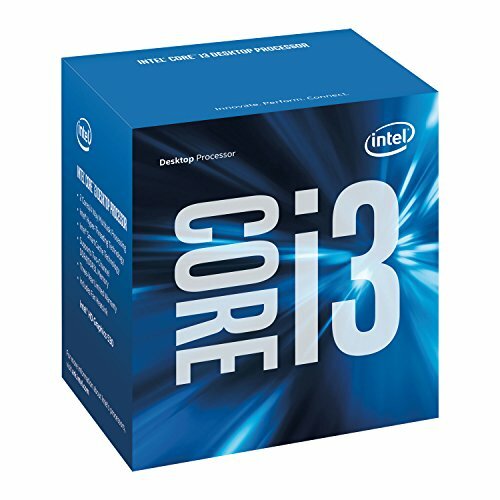 Hi, I'm planning to build pretty much the same pc ( in a different case ). I'm still doubting between a RX 470 4gb and a gtx 1060 3gb, any reason you chose for the 1060? Hi there, this was a dilemma I was facing too, do I go with the extra 1 GB of VRAM or go with the smaller, more power efficient 1060. I ended up going with the 1060 because 3GB of VRAM is still plenty enough for 1080p gaming. It runs a lot cooler than the RX 470 as well. However, if you plan on playing at a higher resolution, I recommend going with the 470. It's going to run a lot hotter though, before adding my case fan my 1060 was hitting temperatures of 80 degrees C under load, I imagine the AMD card would be at emergency levels, so the fan is a must if you go with the AMD card perhaps even 2. Edit: Just realised you said it would be in a difference case so this is less of an issue. the 970 was an option I considered but the 1060 was far cheaper for me. I'm happy with it and the size/weight of it compliments this case well. Pricing makes the 970 a poor choose for me as well. A new one costs € 300 +, thats more than a 1060 6gb. Even used ones go for €200. Thanks! I agree, it's a fantastic little card. Very impressed with its performance so far. It's not that hard to build the components in. Cable management just cost time. Always nice to see fellow node202 users. Have fun with your nice system +1. Each to their own i guess, the trickiness of assembling in this case was made difficult with large hands. But as I say in the guide, if you hit the order of component installation well then it will be smooth sailing. Good luck screwing the GPU riser in place if you already have the CPU cooler installed etc. Yes the cable management took some time and perseverance. Thanks! Very good build, add i7 and 1070 and so much power in 1 little package. I would If I could afford to! haha thanks. Thanks, as mentioned above it was definitely under consideration and was very nearly purchased instead. Both cards will do great, the 470 will run a lot hotter however, something this case can do without due to minimal space/airflow. Both are fantastic cards for 1080p gaming. Great build. I don't think I would do much of anything different for a build like this. 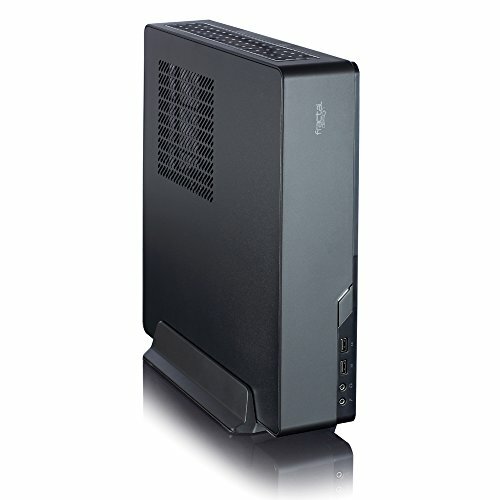 Nice small case, plenty of CPU upgrade potential and plenty of current power. Perfect. Nice job! Thanks for the support! Upgrade potential was one of the ideas behind the build and allows people with a higher budget to add or replace parts they may want. Whether it's an i5, another 8GB of RAM or a higher end GPU this should handle it! Added some photos of the finished product, also in case you're wondering what the green tape is doing on the dust filter, I added that to keep it secured as my filter wasn't flush to the case. Probably not necessary but at least it won't rattle or pop off! Well done! What is your monitor? Great build and description. I have a similar node build but using the evga gtx 1060 sc 6gb. I have no case fan but gpu temp at idle is around 48c. Is this normal? Seems to be about +10c over my Cpu/mobo Temps. Very good budget oriented 1060 build. From benchmarks I've seen, the performance difference between the 1060 6GB and 3GB is only a 5% reduction while the 3GB is basically 2/3 the price. I feel like the case is a little overboard when you can find other really good quality mini ITX cases for half the price. After adding the PSU, price still only comes to maybe $100. Another way to cut the price a little would be to have a 120GB SSD for the OS and a 500GB to 1TB HDD for main storage. I think the choice of motherboard and CPU was great. I like rather than having 2x4 RAM, having 1x8 allows you to add another stick in the future while saving money. Other than my 2 suggestions, I really like the strict budget feel of it and great price for performance! btw, do you know if the PSU is removable? just incase I want to upgrade in the future to a fully modular. Different RAM and Motherboard, but I have pretty much the same build. My old GPU died, is that 1060 still holding up well? Love the build but i gotta say you gonna send me that wallpaper ? Late I know, but nice build! Thumbs up. Just wanted to give an update now that's its been over 2 years having built this PC. Gotta say, it's held up really well. I'm now living back in the UK and transporting it was incredibly easy due to its size and weight. Been gaming non stop in these past 2 years and everything still works a charm. I did end up upgrading to 16 GB of RAM, made a big difference in certain games, (planet coaster and total war: warhammer come to mind). The 3GB of Vram hasn't been much of an issue, there are some games which require you to have a set amount before you can upgrade certain visuals however. Looking back, If I could've afforded the 6GB version then I probably would. The only issue that I've had so far is with the case, it's incredibly tedious to clean as you have to dismantle everything to clean one side of it. I've also experienced a very annoying problem in that the dust filter next to the graphics card has sunk somewhat into my cooling fan due to constant use. This means there is a whirring noise where the filter makes contact with the middle of my fan as it rotates. It can be either very minor or incredibly loud. I've been too lazy to bother coming up with a permanent fix so I've been living with a small screw pushing on the other side of the filter to kind of pop out where the filter was touching the fan. All in all, still very happy. It's a little beast, though I did end up buying a PS4 anyway for exclusive games. If you find yourself moving around a lot or going to LAN parties, it's so convenient. I was hesitant about having the case with the built in power supply, but its doing great. No complaints at all with it so far. If I could have afforded it, I would have bought a semi/fully modular gold certified SFX PSU. But for me the price difference wasn't worth it. Eh, makes sense. Great build nevertheless.